DHF Harbor Hacks is an opportunity for young makers to collaborate together on innovative projects with the guidance of experienced tech mentors. This hackathon will be a weekend long event that will end with all teams presenting their products to a panel of judges and a public audience for review and feedback. The chosen winning teams will be based on multiple prize tracks including: Hardware, Software and Fan Favorite. Digital Harbor Foundation is excited to host Harbor Hacks 2018, a hackathon for middle and high school aged youth in Baltimore. This is the hackathon by youth and for youth! A hackathon (also known as a hack day, hackfest or codefest) is a design sprint in which programmers and others involved in technology, including graphic designers, interface designers, project managers, and others, collaborate intensively on a project. Hackathons typically last between a day and a week (ours will be a weekend). Some hackathons are intended simply for educational or social purposes. JOIN US FOR HARBOR HACKS 2018! For each of our programs or events there is a real cost. If you are unable to pay this full price, we invite you to pay the amount that is affordable for your family. No proof of income is required and no one is turned away based on what they pay. When families pay whatever they can, it allows us to serve more youth with more of our time and attention by reducing the amount of time we have to spend fundraising. Do I have to be a DHF Youth to participate? No, the DHF Harbor Hacks is open to all youth aged: 12-18. 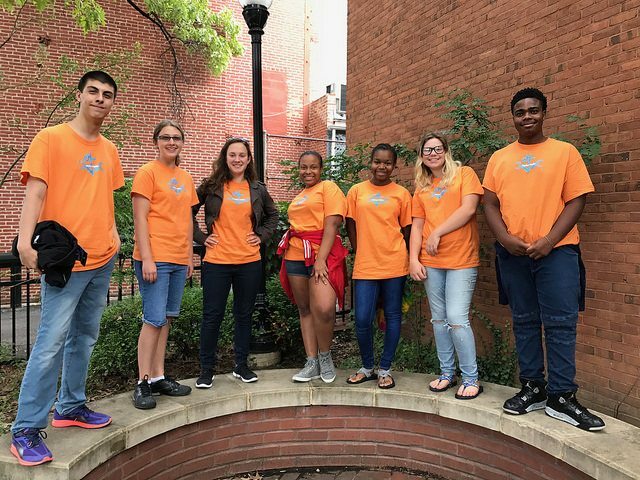 Several youth from DHF have been participating in local hackathons, including the 2015 and 2017 Baltimore Hackathon and the 2016 and 2017 Abilities Hackathon. They loved these events because they got to spend time alongside the Baltimore tech community for an entire weekend and work alongside them or in teams with them. But they were always disappointed that more youth weren’t involved. When considering why more youth didn’t attend, our youth felt it was because there wasn’t a chance for them to get comfortable with hackathons by working with other youth. In 2017, Digital Harbor Foundation’s very own Youth Steering Committee organized one of the first hackathons for youth, planned by youth. Our youth proposed hosting a youth-focused hackathon where youth from Baltimore could participate in a hackathon meant specifically for them to introduce them to the concept, but more importantly, to potential mentors in the tech community who would support them throughout the weekend.